The Stinkrot Smasher is a new mace coming to World of Warcraft in upcoming expansion Battle For Azeroth. 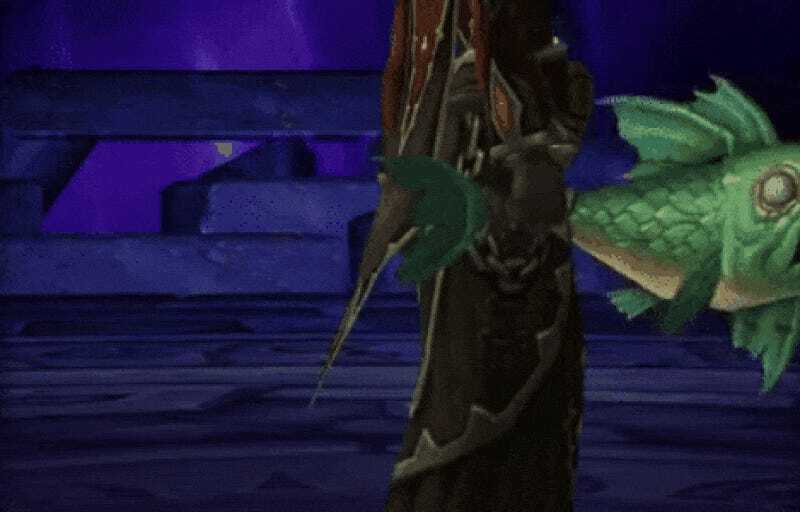 Dug out of the beta by poster Stan on the forums of Blizzard fan site Icy Veins, it’s a rotten fish with rotten fish physics and rotten fish particle effects and probably a rotten fish soul. It’s perfect.